Hospitals in East Yorkshire have launched the healthcare careers of well over 100 apprentices in just over three years. From those working with older people and those making sure patients get the right nutrition, right through to those working in pharmacy and caring for the bereaved, Hull University Teaching Hospitals NHS Trust has really thought beyond the traditional when it comes to developing new roles and new talent. And the success of the Trust’s programme speaks for itself, with 93% of the 108 apprentices taken on by the Trust to date going on to gain employment or further study. So what better time to put those healthcare workers of the future in the spotlight than National Apprenticeship Week (6 to 10 March 2017)? This national celebration is designed to promote apprenticeships as a fast track to a great career, and raise awareness of the benefits amongst employers and the wider community. “I always knew I wanted to work in healthcare, but I wasn’t really sure where or doing what. I didn’t want to go to university, so being a doctor was out, but I was keen to do an apprenticeship, so when I saw the advert for an apprenticeship in clinical physiology, I jumped at the chance. “I finished my apprenticeship last summer, and I enjoyed it so much that I am now working towards a degree through a combination of workplace-based training and online study. After three years, I will qualify as a Clinical Physiologist; not something I would ever have thought about while I was still at college. “We know that college or degree level study is not for everyone, so apprenticeships offer a great opportunity for local people to find an interest, develop a set of skills, and start to build a career around workplace based training. “By helping local people to find their niche, whether that’s in direct patient care or in one of the support functions such as health sciences or estates which help to keep our services going, apprentices will play a vital part in helping us to deliver great patient care. “Recruitment within the NHS is only going to get harder and more competitive in the coming years, so it’s also a great way of providing training and development opportunities for local people and of growing our own workforce for the future. 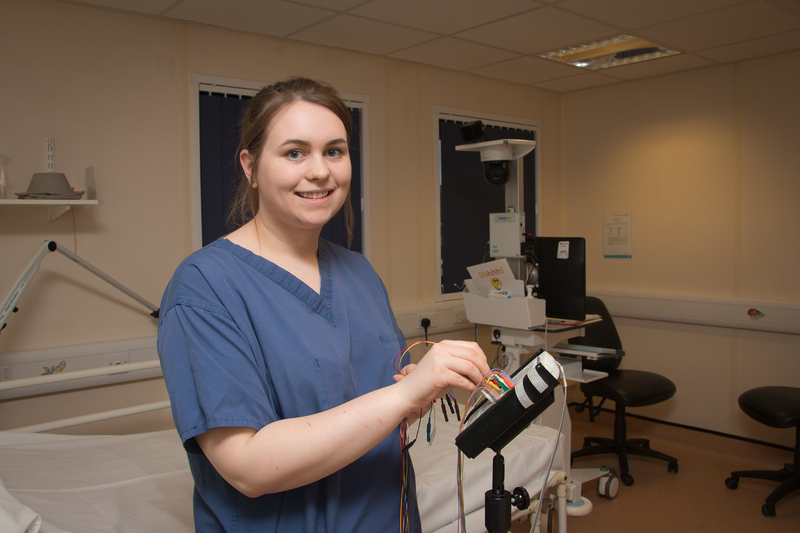 For the third year running, Hull University Teaching Hospitals NHS Trust has been more formally recognised for its work on apprenticeships by Health Education England through the NHS Yorkshire and Humber Talent for Care Awards. The 2017 awards ceremony will be held at Hull’s Guildhall on Friday 10th March to tie in with the City of Culture celebrations, and will see eight people from across Hull Royal infirmary and Castle Hill Hospital competing against their peers for awards. The Trust is also one of three NHS organisations vying to be named ‘Employer of the Year’.